You thought there was a football game yesterday? Nah. The football during Sunday's Super Bowl was mostly forgettable in the lowest scoring affair in the 53-year history of the championship game. 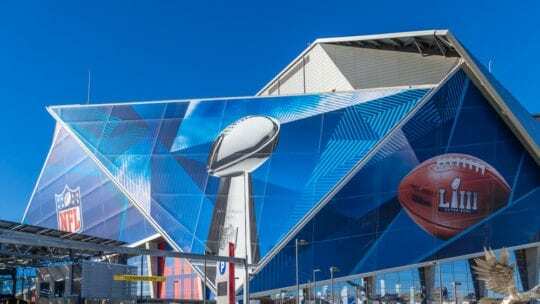 The real contest—and takeaways for communicators—came between plays on the field at Mercedes-Benz Stadium in Atlanta. The PR lessons started with a celebration of Black History Month. It included a tribute to the late Dr. Martin Luther King Jr. A video of the Atlanta native's speeches were shown inside the stadium and included in CBS's broadcast of the game. This fusion of sports and history was a highlight of the evening. Dr. King's youngest child, Bernice King, was on the field to toss the coin for the opening kickoff. Joining here were former Atlanta Mayor/U.N. Ambassador/Congressman Andrew Young, a confidant of Martin Luther King Jr. Rep. John Lewis, Democrat of GA, also was on the field. Though not Atlanta born, Lewis has represented the area in Congress since 1987. He was a leader in the Civil Rights movement. Rep. Lewis also supported NFL players when they kneeled during the national anthem in 2017 and 2018. (More on this in a moment.) But nobody was talking about that yesterday, at least before the game. There were too many other things happening on the field. That was one of the NFL's PR goals: normalize the sport's scandals through generic promotion of American unity. The Atlanta theme continued with Gladys Knight performing a song that has caused pro football more than a bit of trouble—the national anthem. There was an audible gasp inside the stadium when a huge American flag was unfurled just before Knight began singing. More points for the NFL's PR effort. With all the celebrating on the field of America and Black History Month, both extremely worthy, there was little or no mention of Colin Kaepernick. He's the quarterback who kneeled during the Star Spangled Banner a few years ago. Not long after he took a knee, Kaepernick's team released him. He hasn't found a football-playing job since. There literally was no talk of Kaepernick during the week leading up to the game. That's partly because the NFL cancelled a scheduled press conference with Maroon 5, the group that headlined this year's halftime show. Questions about Kaepernick were likely to surface during that presser. Maroon 5's Adam Levine said the NFL, not the musical group, cancelled the press conference. The halftime gig's been controversial since Kaepernick's blackballing. Some musicians urged fellow performers to boycott the NFL and the Super Bowl for its alleged racist treatment of Kaepernick. As my colleague Justin Joffe wrote last week, "More than the progressively-leaning NBA or even the NHL (which launched a huge campaign today to celebrate Black History Month), the NFL remains reluctant to engage in substantive dialogue about uncomfortable topics related to football culture." The league took a gamble that canceling the press conference would silence the controversy. It didn't work. Just before the game, Kaepernick's attorney blasted Maroon 5 for performing. And Levine took to Instagram right after halftime to bolster his image, though his heartfelt post seemed cryptic. When Maroon 5's press conference was scrapped, the NFL's rationale was that the group's music "would speak for itself." Perhaps. But what about other artists who joined Maroon 5 to perform during the show? The sound went dead on the CBS broadcast at least two times during their performance. This meant that the acts literally couldn't speak for themselves. The performer's lyrics were censored. Was including performers who use adult language a good look for a family event? Were communicators consulted on this choice? Since the game was dull, the commercials were a saving grace. 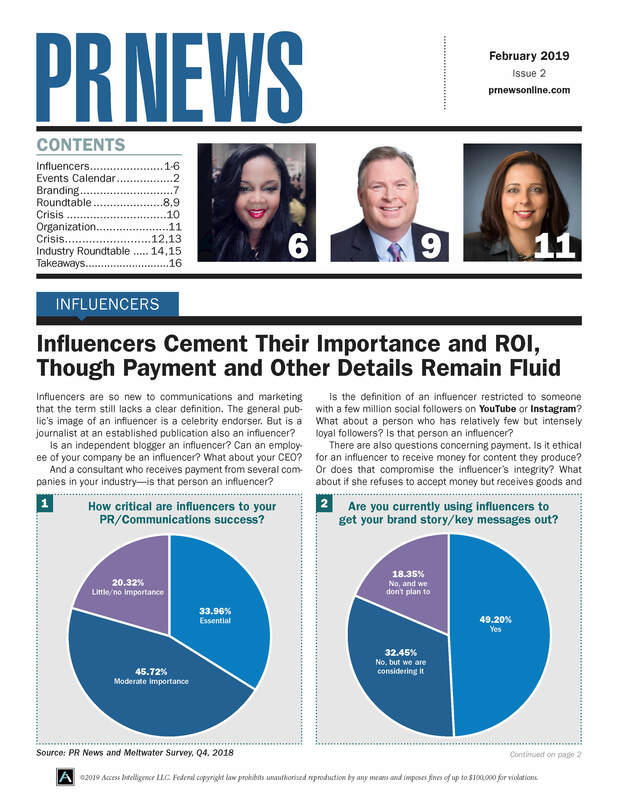 A theme that emerged from some of the best was one savvy communicators use often: know your audience. Super Bowl viewers don't want sales pitches. That's why brands such as Verizon went emotional (another great PR tactic). Its spot about first responders was a brilliant and emotional piece of content, nearly devoid of a sales pitch. Budweiser also did a nice job, forgoing the usual beer ad and emphasizing its use of wind power instead. Burger King's Andy Warhol spot was intriguingly conceived. It too was a soft sell, and presumably introduced a young generation to Andy Warhol. KIA's spot utilized another PR tactic: your employees can be powerful brand advocates.